Parenting Way, Inc. is dedicated to protecting children from all forms of maltreatment by providing prevention and education programs, collaborating with partner organizations, and engaging communities in community awareness efforts and resources. Darkness to Light's Stewards of Children program brings experts and community members together to recognize Child Sexual Abuse indicators before abuse occurs and emphasizes the importance of learning and working together to promote change. Most important is the programs ability to train parents in how to listen, observe and take action before a child is sexually abused. Stewards of Children© is an evidence-informed prevention solution that increases knowledge, improves attitudes, and changes child protective behaviors. The Stewards of Children program uses real people and real stories to show us how to protect children. Training and information is delivered by "meeting" survivors who lived through child sexual abuse, experienced it's immediate and long-term effects, and ultimately were able to find healing. Through training presentations, participants learn about experts who work with children and families, and confront abuse on a daily basis. Many of these survivors and experts are also parents, themselves. We tell participants that child sexual abuse prevention applies to every adult, when we know the fact that it is the most prevalent health problem children face and that will have the most serious consequences through the remainder of their childhood and well into adulthood. 1 in 10 children will experience sexual abuse before their 18th birthday. This means that whether you work with youth, are a parent, or are simply a member of a community, it is highly likely that someone you know and care for has experienced, or is currently experiencing, child sexual abuse. It's going to happen whether you are prepared to deal with it or not - unless you stop it from happening. If we teach caring adults and concerned parents we can stop the sexual abuse of children. Prevalence and consequences of child sexual abuse for communities and organizations. What situations create the risk for abuse? Practical strategies for protecting children from sexual abuse. Behaviors and grooming techniques practiced by perpetrators. How to intervene and react responsibly if warning signs appear or abuse is discovered. Stewards of Children Trainings are offered in group settings and led by Parenting Way staff members who are trained D2L facilitators. Trainings are about 2 to 2.5 hours. Our goal is to give adult participants the tools necessary to prevent, recognize, and react responsibly to child sexual abuse. We will also teach how to reduce risk and protect children. Trainings can be offered in a variety of community venues, in schools, pre-schools, day care centers and to organizations requesting a presentation of the program to their staff and/or members. Trainings may be targeted to parents involved in other programs, in classes and at their child's school. Parenting Way, Inc. is a D2L Partner in Prevention organization. The Center for Child and Family Studies College of Social Work, University of South Carolina. (2008) A Study of the Impact of Darkness to Light's Stewards of Children Program on S.C. Educators, including Changes in Knowledge, Attitudes, and Reports of Behavior Over Time. Bennett, T. F. (2005) Adult education for the prevention of child sexual abuse: the efficacy of Darkness to Light's "7 Steps to Protecting Our Children". Rheingold, A.A., Campbell, C., Self-Brown, S., de Arellano, M., Resnick, H. Kilpatrick, D.G. (2007). Prevention of child sexual abuse: evaluation of a community media campaign; Child Maltreatment 2007 12: 352. The above and other evaluations demonstrated that the Stewards of Children curriculum was effective in increasing knowledge, improving attitudes and positively changing adult child-protective behavior over the long-term. 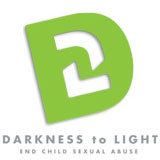 Darkness 2 Light has been offering Stewards of Children training programs since 2004, making it available for parents, youth serving organizations, and communities across the nation and globe. In 2012-2014 Prevent Child Abuse Iowa brought national trainers to Iowa to train facilitators in the program. 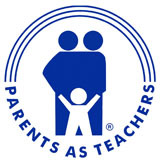 Parenting Way staff members who are currently certified and trained facilitators include Sue Renfrow, 2013 and Ben Burke, August, 2014. Since 2014 we have offered and completed fifteen trainings, including 1st Five Presentations (5) and Parents in community-based programs (3).There have been seven Public Awareness presentations in various community formats which are typically about 60-75 minutes each.